Putrajaya Holdings Sdn Bhd, the master developer of the country's federal administrative centre, is confident of the continued appeal of any new property launches it may have in the pipeline, despite the global economic slowdown. "We believe genuine buyers with the capacity to buy will still buy," its chief executive officer Azlan Abdul Karim said. 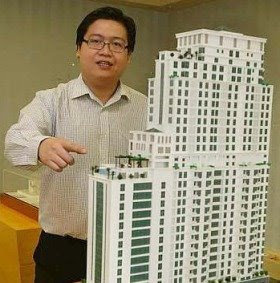 "Speculators may have reservations about buying new units, but genuine buyers keen to live in Putrajaya will buy ... and here, people who have bought their units are genuine buyers," he said in Putrajaya yesterday. According to Azlan, all of Putrajaya Holdings' residential and commercial units launched last year have been sold, including 500 residential units, 200 shop-lots and 37 light industrial units. Next year, 23 semi-detached residential units will be launched, with prices starting from RM1.7 million per unit. "We have not advertised, but based on registrations the response has been good." "Uniquely designed" apartment units will also be launched next year, he said. Replying to a question, he said that prices of properties in Putrajaya rose last year in line with the increase in prices of raw materials. "But now, with the (raw material) prices going down, we may lower our prices. 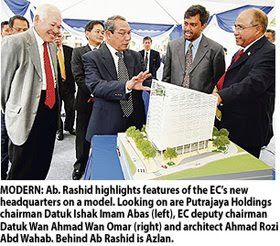 Earlier, Azlan attended the groundbreaking ceremony for the new Election Commission (EC) headquarters in Precint 2, officiated by outgoing EC chairman Tan Sri Ab Rashid Ab Rahman. He said that tenders for the 10-storey building will open in one to two months. The building, estimated to cost between RM70 million and RM80 million, will have a total gross floor area of about 22,400 sq m. It is expected to be completed by mid-2011. KUALA LUMPUR: HICOM Properties Sdn Bhd will acquire the entire equity interest in both Benua Kurnia Sdn Bhd and Neraca Prisma Sdn Bhd for a total purchase consideration of RM722.463mil. In a filing to Bursa Malaysia, DRB-HICOM said its wholly-owned subsidiary signed an agreement with vendors Datuk Ahmad Abdullah and Mohd Nazree Abu Kassim to acquire the stakes. Benua Kurnia and Neraca Prisma own three parcels of freehold land spanning 606.8ha in Johor Baru. DRB-HICOM said it would dispose five pieces of its plantation land at RM341.74mil to the vendors and the issuance of bank guarantee facility amounting to RM238.95mil to satisfy the purchase consideration. The balance of RM141.77mil would be paid by cash, it added. The proposed acquisition of the development land would enable the group to immediately replenish the diminishing landbank for its future business growth and sustainable earnings, DRB-HICOM said. The land had good development potential, being located in a prime location surrounded by matured potential development, the group said. In addition, the land is located within the Economic Zone E Senai-Skudai of Iskandar Malaysia. The proposed acquisition was in line with the group’s core business competencies and is a significant step towards ensuring future sustainable growth for its property development division, DRB-HICOM said. It is expected to be completed after the financial year ending March 31, 2009. LABUAN: KC Project Management Services Sdn Bhd that has been rehabilitating abandoned housing projects in Sabah wants to use its expertise to help resolve similar “problems” in other states. “It would be a pity if the experience and knowledge gained by KC is not fully made use of and extended to peninsular Malaysia and Sarawak,” chief executive Dr Robert K.C. Chin said in an interview. 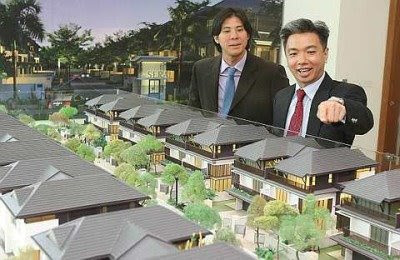 Chin said his company had been appointed by Sabah’s Minister of Local Government and Housing to manage, assume control and complete abandoned housing projects in the state since 1987. He said KC had been instrumental in setting up a special-purpose vehicle to rehabilitate and complete all abandoned housing projects in Sabah. To help revive such projects, Chin said the Sabah government had also set up KKTP Sdn Bhd to provide funding and register and transfer land titles to genuine house buyers. YTL Corp Bhd , which has said it is buying into a Macquarie-led real estate investment trust (REIT) listed in Singapore, intends to launch a second REIT in Malaysia with assets worth more than RM1 billion when the market improves. The proposed REIT, which is still in the early stages of planning, will be a collection of luxury hotels and resorts under the YTL stable, executive director Datuk Mark Yeoh Seok Kah said. "We are looking at a hospitality REIT. The equity market now is going through a shake-up. We are studying the proposal and opportunities. 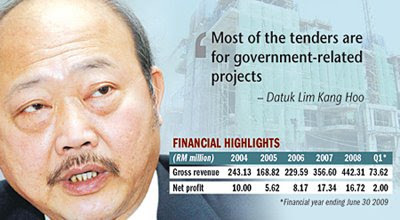 We will consolidate our properties before planning the REIT," he told Business Times in an interview in Kuala Lumpur. Yeoh did not indicate when the REIT might be launched, but ruled out next year. The REIT, to comprise more than three assets, will be bigger than the Starhill REIT, launched in 2005 and the biggest of its kind in the country then. Starhill REIT comprises the Starhill Gallery, Lot 10 Shopping Centre and JW Marriot Kuala Lumpur in the prime Bukit Bintang area. It raised RM523.4 million from the listing exercise. The country's biggest builder, through its hospitality arm YTL Hotels & Properties (YTLHP) Sdn Bhd, is involved in both ownership and management of properties that are a stellar collection of internationally renowned, award-winning resorts, hotels and spas. 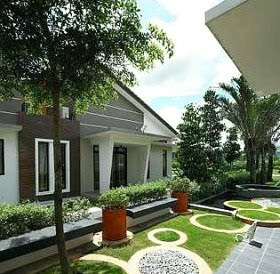 Its 100 per cent-owned properties are the Cameron Highlands Resort; JW Marriot; Spa Village Resort Tembok Bali in Indonesia; Villa Tassana in Phuket, Thailand; and Bray House, Berkshire in the UK. YTLHP has stakes in the Majestic Malacca; The Chedi in Phuket; Vistana Hotel in Kuala Lumpur, Penang and Kuantan; Tanjong Jara Resort in Terengganu; and Eastern and Oriental Express luxury train. "Most of our hotels and resorts have been paid off, or are in the process of being paid off. They have been refurbished, so we have a total portfolio of new hotels and resorts which are good to be REIT-ed. "We will continue to build YTL," Yeoh said. YTL is planning to acquire hotels and resorts from next year, which it may include in the REIT, he added. In October, YTL announced that it was buying a 26 per cent stake in the Singapore-listed Macquarie Prime REIT (MP REIT) and 50 per cent of Prime REIT Management Holdings Pte Ltd from Macquarie Bank Ltd for S$285 million (RM686 million). MP REIT, which will be rebranded as Starhill Global REIT when the acquisition is completed early next year, has a market capitalisation of S$516 million (RM1.2 billion) and owns more than RM5.2 billion worth of prime retail and office properties in Singapore, Japan and China. YTL Corp Bhd is set to launch two resorts off the coast of Sabah, and a hotel in the Klang Valley for RM200 million by early next year. "We will launch from February next year, pending local authorities' approval," executive director Datuk Mark Yeoh Seok Kah said. While the hotel will be called Majestic Kuala Lumpur, the names of the resorts have yet to be finalised, he said. 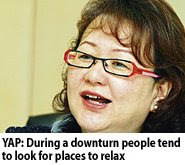 Yeoh said the resorts are exquisite as each will be located on Pulau Gaya, which is the largest island in Tunku Abdul Rahman Marine Park and the closest to downtown Kota Kinabalu, and Pulau Tiga, which has been dubbed Survivor Island due to the popular television show. "Despite the current financial turmoil, we are optimistic the properties will perform well. We launched Spa Village Resort Tembok Bali in 2007 and Majestic Malacca this year. And, both have done well," Yeoh told Business Times in an interview. Yeoh said the idea to launch the properties is to grow the sales and assets of its hospitality arm, YTL Hotels & Properties (YTLHP) Sdn Bhd. He said the three new properties will be parked under YTLHP, which wholly owns five properties in Malaysia, Bali, Phuket and the UK. 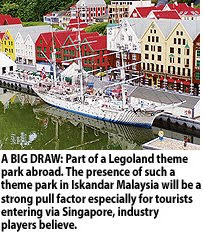 YTLHP has also stakes in seven other properties, a bulk of which are located on Malaysian land. The company manages all the 12 properties, including Pangkor Laut Resort in Perak and The Ritz-Carlton KL, which are majority-owned by the Yeoh family. Last year, YTLHP made RM150 million in sales. It expects revenue to be flat this year due to the effects from a global financial meltdown, said Yeoh, who is also YTLHP executive director. "Earnings were affected but we had a positive effect from what took place in Mumbai, and in Thailand. The pick-up has been strong but next year is a very difficult year to predict. The booking pattern has shifted to last-minute confirmation," he said. Yeoh said YTLHP's net profit and revenue have been growing steadily by 20 per cent year-on-year and it will aim for growth again next year. "We are anticipating some downturn in 2009 but if flights and accessibility can increase, there will be a chance for us to grow our fair share. Whatever happens next year, YTLHP will not lower room rates as it will take time to bring the rates back upwards," he said. Yeoh said the company will do some yield management and cost enhancement to improve profitability. The biggest cost in the last two years, he said, had been energy and fuel. YTLHP, which employs over 2,000 people, will not be hiring next year. There is recent evidence that higher-end landed properties in well-established locations could potentially outperform the overall property cycle in times of adversity, says OSK Research. “This 'hedging' opportunity, stems from the hypothesis that the fast-rising 'baby boomers' of the 50s, who tend to be more affluent but risk-averse, are likely to hedge their wealth in mid- to high-end landed properties during uncertain times,” the research house said in its daily report today. “Given that households are still flush with liquidity, this age group is unlikely to plough all the wealth back into the banking system given the low deposit rates amid the high inflationary environment,” it added. 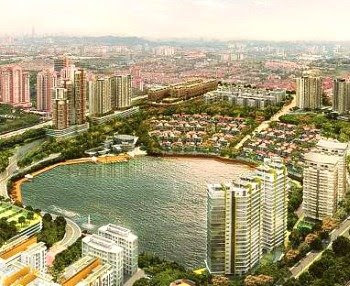 Nonetheless, as all the market players are still trying to assess the severity of the potential collateral damage from the global financial crisis on Malaysia’s real economy, it said most home buyers are likely to stay on the sidelines for a while and may not return until the second half of next year. OSK Research said 2009 will be a year of reckoning for luxury condos. It has estimated that more than 5,000 units of luxury condos priced more than RM400 per square feet would come on stream in the Klang Valley by late 2008 and another wave of more than 5,000 units is expected to hit the market in 2009 before easing slightly to more than 2,000 units in 2010. “Notwithstanding the risk of diminishing demand, these waves of incoming supply at about the same time, will severely depress rental yield by late 2008 and going into 2009/2010,” it explained. The government's RM7 billion stimulus package, including the reduction of Employees Provident Fund contributions from 11 to eight per cent, coupled with lower interest rate and inflation, will provide the bright spark to the market. 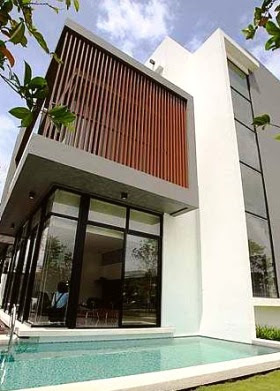 Association of Valuers and Property Consultants in Private Practice Malaysia president, James Wong Kwong Onn, said although the property market was expected to see a slowdown in the take-up rate, there would not be a major correction as there was still room to grow. He said the property market, especially for residential and commercial, has been 'red hot' for three years up to the third quarter of this year but the softening economy has put a pressure on it. According to Real Estate and Housing Developers' Association president, Datuk Ng Seing Liong, the property market would see a slowdown of between five and 15 per cent in 2009. Ng said sales generally would be ongoing but in small volumes as most purchasers adopted a wait-and-see attitude while most developers downsized their new property launches for next year. An analyst from Aseambankers Malaysia Bhd said buyers were holding back their investments until the economic environment was stable. 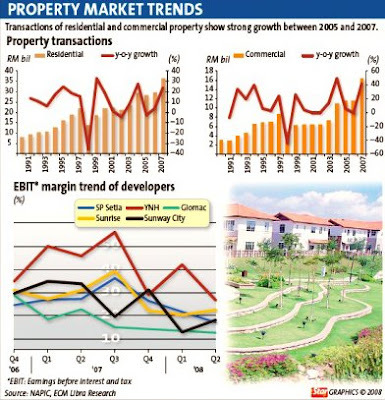 He anticipates home buyers to return to the market in the second half of 2009. KUALA LUMPUR: The Nomad Group Bhd, the largest serviced office provider in Kuala Lumpur, plans to open its latest office in the Philippines by the first quarter of next year. Chief executive officer Hew Thin Chay said the group had already shortlisted two buildings in the central business district of Manila to set up its office. “There is good demand for serviced offices in Manila but we are still waiting for the (rental) rates to improve,” he told StarBiz. The company would be investing about RM4mil in the office, he said, adding that he expected a return on investment in the second year of operations. The offices, he said, were targeted at travelling entrepreneurs and enterprises. “The typical serviced office business generally takes about a year to mature. After that period, and once people know where you are located, that is when you start seeing stable returns. “We always tell our shareholders that this is a long-term business, that the first year of operating a serviced office is not the time when we see business growth,” he said. The office in Manila is part of the group’s strategy to establish a firm presence in the Asean region. It currently operates offices in Singapore, Indonesia, Vietnam and, most recently, Thailand. Hew said the group would also be opening a second office in Indonesia, and it had also considered Cambodia and Laos but nothing had been finalised yet. He also said the group was planning to make in-roads into Hong Kong and Taiwan next year. “We are certain about (opening an office in) Hong Kong next year. In Taiwan, we are still waiting for the political situation to stabilise,” he said. By having an office in either Hong Kong or Taiwan, Hew said the group would be able to fast track its business into China. On the local front, the group operates six serviced offices. Hew said the offices offered fully furnished and unfurnished office suites, virtual office, meeting rooms, business lounge and video conferencing facilities, in addition to office-support services.